The death of 21-year-old Georgian luger Nodar Kumaritashvil has “cast a pall” over the Winter Olympics. He was killed during a practice run Friday. 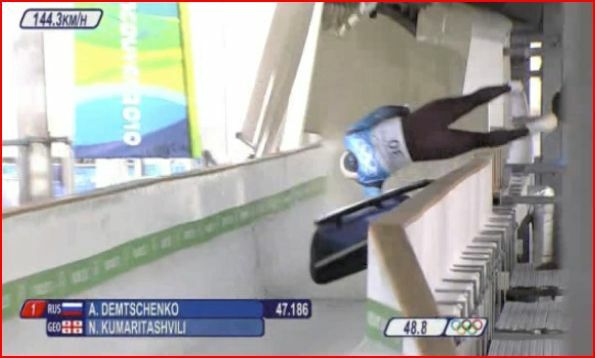 NBC showed video of Kumaritashvil’s death three times, including in slow motion. They lingered on a shot of his dead body and even showed video of paramedics attempts to revive him. 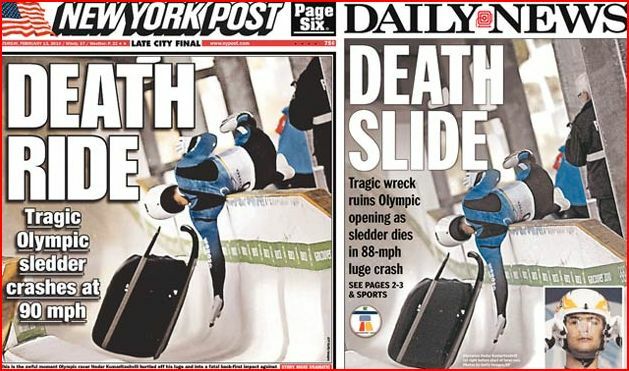 This entry was posted on February 13, 2010 at 11:57 pm and is filed under media, Olympics. You can follow any responses to this entry through the RSS 2.0 feed. You can leave a response, or trackback from your own site.